I’ve just returned from Spain where I was overwhelmed by the styles and variety of international brand watches in airport duty free shops and lux boutiques. Longines, Breitling, Rado, Tissot, Omega, Tag Heuer – you name it, they had it. And you could too at an EU or transatlantic flight discount. But I found a watch brand head turner not in any flight retail concourse but in thumbing the pages of the June 2015 issue of Unique, the Starwood Hotels and Resorts' glossy in room magazine. There I was in Madrid at the Sheraton Madrid MiraSierra Hotel and Spa, a member of the Starwood family reading a Spanish/English article in Unique titled, “El reloj inteligente”/”The Smart Watch.” You guessed it – another piece about the debut of the Apple Watch. What made my app-surdity dial spin though was the focus of the article. Not the watch, which deservedly or not has gotten a lot of press coverage this Spring, but the Starwood Preferred Guest application, SPG Keyless that can work with it. Here is an application that among other things allows customers to open and lock the door to their room and remember their room number. 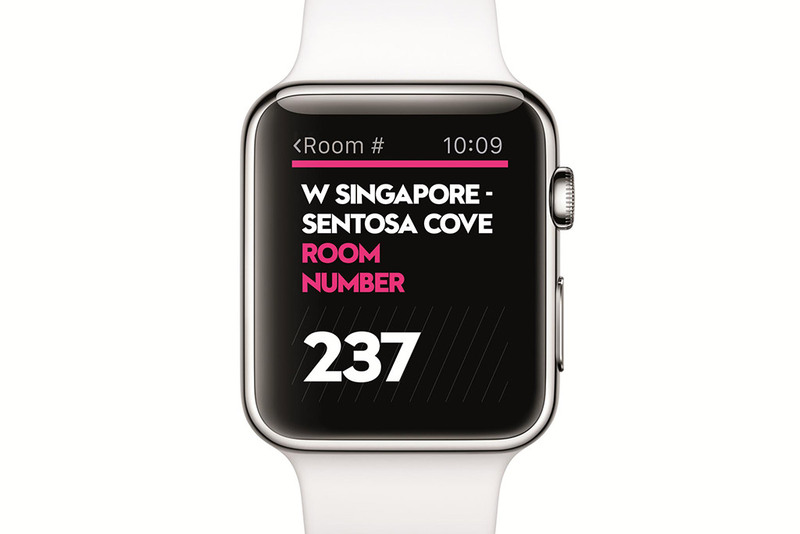 As reporter Rian Boden describes the appliation in NFO World on April 28, 2015, it is an “app for the Apple Watch that enables wearers to tap their device to unlock hotel room doors via Bluetooth. …The Apple Watch is an extension of the iPhone. In order to use SPG Keyless on your watch, it must be connected to your iPhone, which in turn must have the SPG app and be registered for SPG Keyless." It used to be that only perfume makers talked about the number of doors (retail outlets) that exclusively offered their fragrances, but Starwood’s SPG Keyless is shooting for being a hotel industry leader in offering an app that will be able to open 30,000 doors in 150 hotels worldwide. As I write, it’s currently available in more than 100 Aloft, Element and W hotels. Back to the app-surdity take. So just because I have an Apple Watch; belong to the Starwood Preferred Guest Program; and have a room at a participating property, do I really need an app that reminds me what my room number is and triggers the green light on my door’s key box to open it? No, I’m just not telling my smart watch where it can find me. I’m keeping some smarts to myself. So what smart watch applications do you find a bit app-surd? Send me a note and I’ll add them to my list.